Well according to the Oxford Dictionary, the color white is the combination of all the colors of the visible spectrum. So that means I have the honour of highlighting all the Doodlebug colors in one blog post... however you can't actually see them all individually because they have all blended together. 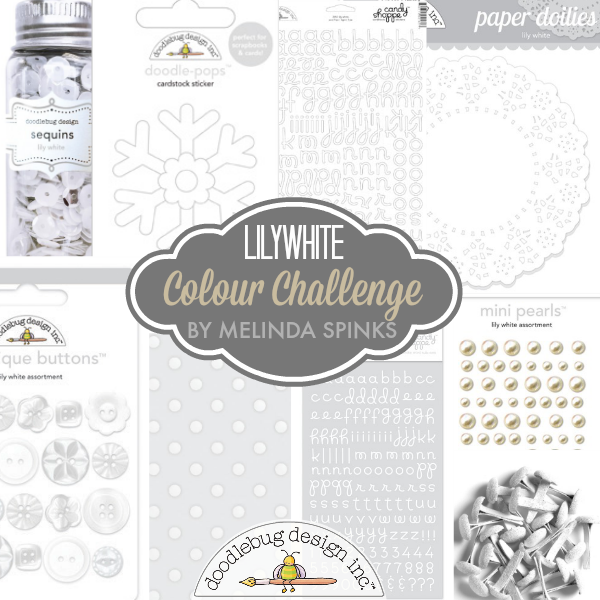 It's Melinda with you today... day four of the Doodlebug Color Challenge and if you hadn't already guessed, my color is Lily White. Firstly I gathered together all my Lily White bits and pieces which had magically accumulated to quite a stash... I seriously had no idea just how much 'white' I had hidden away. 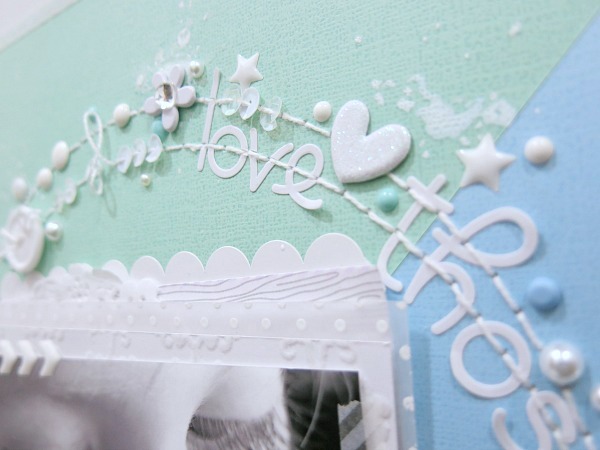 My plan was to create an all white layout, however when I started positioning everything onto white cardstock I soon realised that my embellishments were fading into the background. So, although today's focus is Lily White I have chosen to add a hint of colour that truly gives the white centre stage. 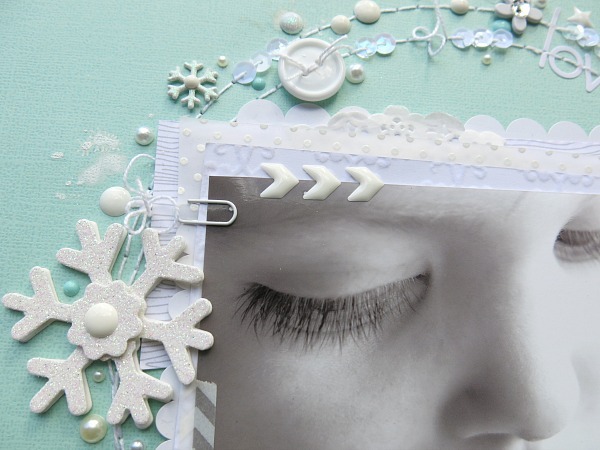 I couldn't resist using a closeup of my little man's gorgeously long eyelashes and framing it with a circle of embellishments and stitching. 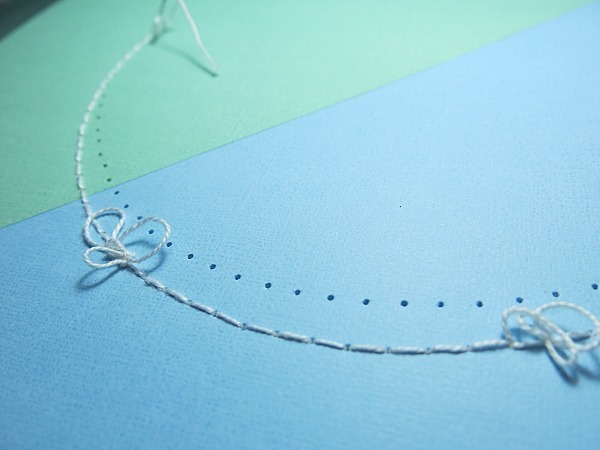 To create the stitching I simply used a paper piercer to create two circles on my layout that I hand stitched with white thread. 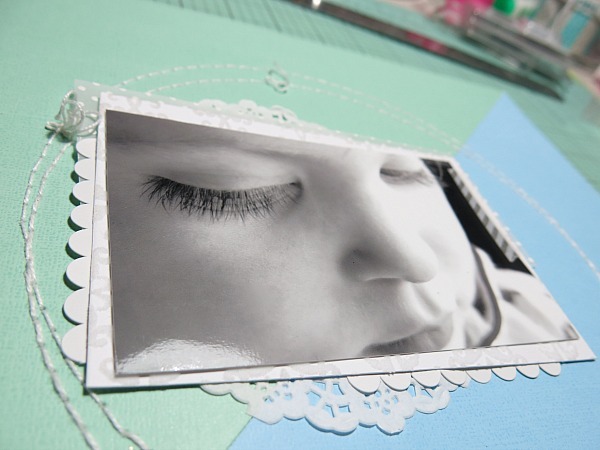 I mounted my photo onto several layers of different patterned papers, doilies and borders before adhering in position on my layout. Then it was time to start decorating... the fun part! However, I have a tendency to come up with ideas whilst I'm working away and sometimes it's too late to put some of those ideas into fruition. So, I usually have to come up with a way around my predicament as I hate having to drop the idea altogether. Now, this big idea was to stitch over my title and to also add sequins to the stitching. 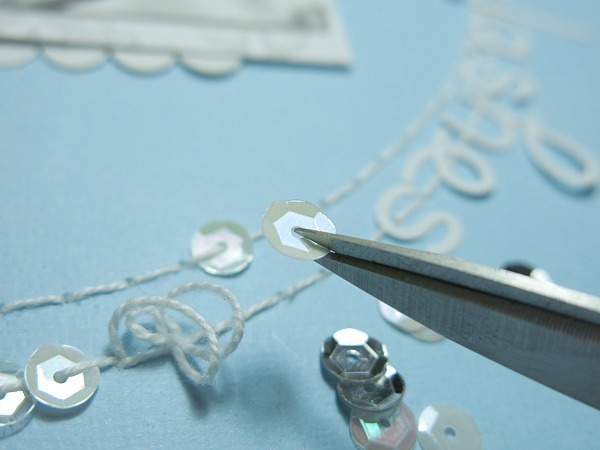 I decided the easiest way to add the sequins was to cut a slit in each piece and slide them onto the thread then rotating them until the slit was hidden underneath each stitch. Adding the title was done in a similar fashion but a lot more work and very fiddly... one of these days I hope to come up with the ideas BEFORE I start. Finally I had some fun adding splashes of white inkSo, just to soften the overall appearance of the circle around my photo. Beautiful. The background colors really highlight the white. You don't need a lot of other colors. The wreath around the picture is so pretty. Great layout. I love what you can do with the little embellies! Always a treat to look at!!! Wow, this layout is stunning!! Thanks for the inspiration. THANK YOU for sharing your DELIGHTFUL and TOTALLY AWESOME CREATIVE INSPIRATION - it has worked for me - I feel the NEED to CREATE!!! Your LO is absolutely the most gorgeous LO I've ever seen and when I saw it it took my breath away. WOW!! You sure created a master piece and your stitching is fabulous. Your picture is the epitome of perfection. It needs to be framed......you need to make two....one for your scrapbook and one to display.......OMG girl talk about being a super talented scrapper WOW!! Melinda - you are a rock star!! You do such a great job with the details on all your layouts!! I am always so totally amazed and impressed by the things you do!! Way to go!! Precious pic, by the way! !